Nature possesses an intelligence that provides for the therapeutic needs of its inhabitants. A fantastic example of this relationship is man's use of therapeutic herbs. 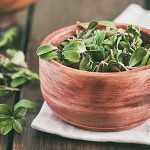 Many herbs are gaining prominence in today’s natural health movement. And, for many, historical use has aligned with modern science and the practical applications for human health are no longer in question. One herb that's lesser known to Western culture is the restharrow plant, also known as Ononis spinosa. First described and written about in the year 4 BC by Greek philosopher Theophrastus, this hardy and thorny perennial is found throughout the coastal Mediterranean nations of Europe, Northern Africa, and Western Asia. The plant has a resilient, ticketed, and thorny structure. It was said to have been difficult to harvest and caused the plows (harrow) to become stuck, and come to a rest – hence the name, "restharrow". Restharrow root has been used by cultures all over the world for different healing benefits; science is just now beginning to determine the efficacy of the plant's traditional use. Historical uses of restharrow root include support for kidney, urinary tract, and bladder health. Historically, restharrow root is highly regarded as a natural and gentle diuretic. 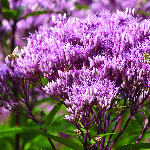 It is still believed to be a valuable herb for the bladder, with some people crediting restharrow root as a supplement for supporting urinary tract health. Restharrow has been long touted in traditional medicine as a remedy for kidney stones. Although there's a lack of published research in scientific journals, many who have suffered from kidney stones have testified positively about its offerings. 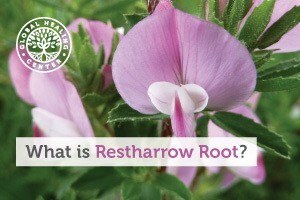 Restharrow root is among a handful of herbs used in traditional medicine. 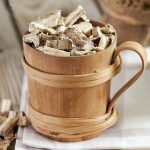 The most common way to consume restharrow root is with a tea or extract. 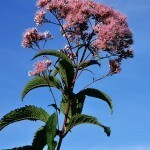 There have also been reports of using it topically on the skin. Have you supplemented with restharrow root? What was your experience? Please leave a comment below and share with us!